Greetings from Washington DC! The Neuroethics Program is on the road attending the International Neuroethics Society Meeting and Society for Neuroscience. Have you been wondering how to begin your journey toward a career in neuroethics? 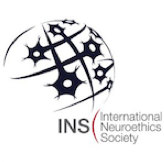 The 2011 International Neuroethics Society (INS) Meeting featured a Neuroethics Careers Session. INS meeting organizers, including Emory Neuroethics Program's Gillian Hue, put together a stellar panel of speakers including Alan Leshner, AAAS (American Association for the Advancement of Science); Paul Root Wolpe, Emory University; Emily Murphy, Stanford and Hank Greely, Stanford. "You enter the field almost always obliquely," Paul Root Wolpe of Emory told the audience. "You get into bioethics through a story." To learn more about his story, a summary of this panel discussion can be found on the Dana Foundation's Blog. Regardless I am here now and would just like to say many thanks for a remarkable post. Please do keep up the excellent work.